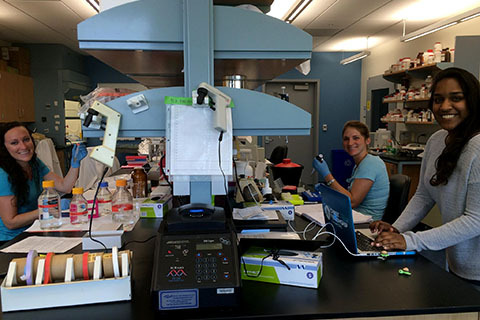 The work in my laboratory is a mixture of whole animal physiology, molecular biology, pharmacology and toxicology. 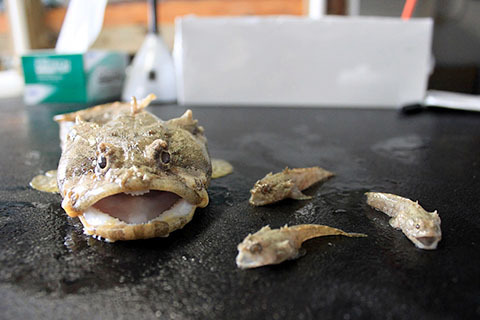 Using these different approaches, I am trying to establish a greater toadfish understanding of the role of serotonin (5-HT; 5-hydroxytryptamine) within teleost fish by investigating the receptors that mediate its response and the transporters that facilitate its movement. 5-HT is a neurochemical that has been intensely studied in mammals for some time. It is most commonly known for its role in depression, however, it has many critical functions within the body and disruptions have negative consequences: drug addiction, behavioral disorders (in addition to depression; stress, anxiety, aggression, violence) and physiological problems (cardiovascular disease, irritable bowel syndrome, obesity, migraines, nausea). My work focuses on the gulf toadfish, Opsanus beta, a marine teleost fish found along the coast of Florida and in the Gulf of Mexico. 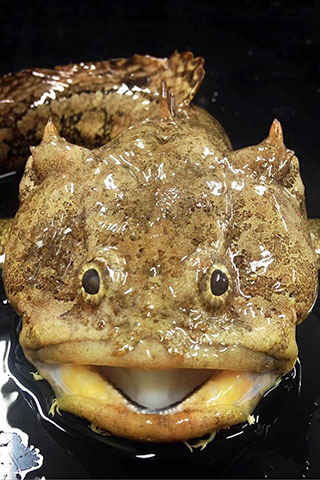 The toadfish is an excellent model to study the interactions between 5-HT, its receptors and transporters and the stress hormone, cortisol, as toadfish have a unique physiological process, pulsatile urea excretion, that involves all these components. Another aspect of my work is looking at the impact of waterborne pharmaceuticals on physiological processes in fish. As a consequence of human consumption and inadequate sewage treatment, pharmaceuticals, such as antidepressants, which specifically inhibit 5-HT transporters, are now found in measurable quantities in some US watersheds. This work has toxicological as well as human health relevance as it gives some insight on the impact of chronic antidepressant administration, which has many negative side effects in humans.